Among the many issues that beset the Sturt Football Club pre 2013 President Jason Kilic never lost sight of his vision for a financially sustainable and successful Club. His mantra at each monthly board meeting is “Good to Great”. He will not accept board members or management questioning it. Kilic is a half glass full guy and does not dwell on problems rather looks to see the opportunity that they create. 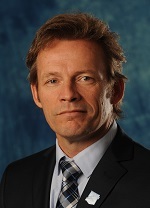 Kilic is the Managing Director of Kilic Engineering a mechanical engineering company based in Adelaide. The company has a long and proud history of excellence in designing, manufacturing and installing a wide range of conveyors, material handling systems, structures and associated equipment. His discipline has been his most valuable contribution to Sturt Football Club’s recovery. He has created a united, calm and focused Board when in the first couple of years as President he copped the Club’s dismal performance both on and off field on the chin and focused on doing the job and getting things back in good shape. He has made changes from policy, management structure, board composition and implemented upward communication flow ensuring in Kilic’s words that “the governance at Sturt would be the most robust in the SANFL and never fail the Club again”. Kilic notes that risk management issues for a SANFL club require rigorous governance and professionalism. Directors represent passionate members who want constant success but not at the expense of impacting off field performance. Kilic’s board is made up of a diverse group in background and life experience achieving the right mix for a Club like Sturt with one of the largest membership bases in the SANFL. All Directors are unpaid and support the Club. Two are past players (Reynolds & Thredgold). We’re all fans says Kilic. This sometimes means that we can get side tracked preferring to talk about the game rather than the less exciting stuff such as finance, strategy etc. but we all know that the less exciting stuff is actually more central to our roles as Directors and push on. The Club has just launched the Building the Blues fundraising campaign where it will look to raise $1 million towards the Unley Oval Grandstand Upgrade Project with Stage 1 already started. The long awaited project has been registered through the Australian Sports Foundation and donations over $2 are tax deductible. 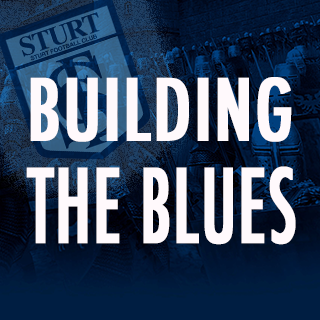 Details regarding the project can be found at https://sturtfc.com.au/about/building-the-blues/ or speak to Jason about it next time you see him around the Club. He has spent the best part of his life dreaming of a state of the art facility for his beloved Blues.